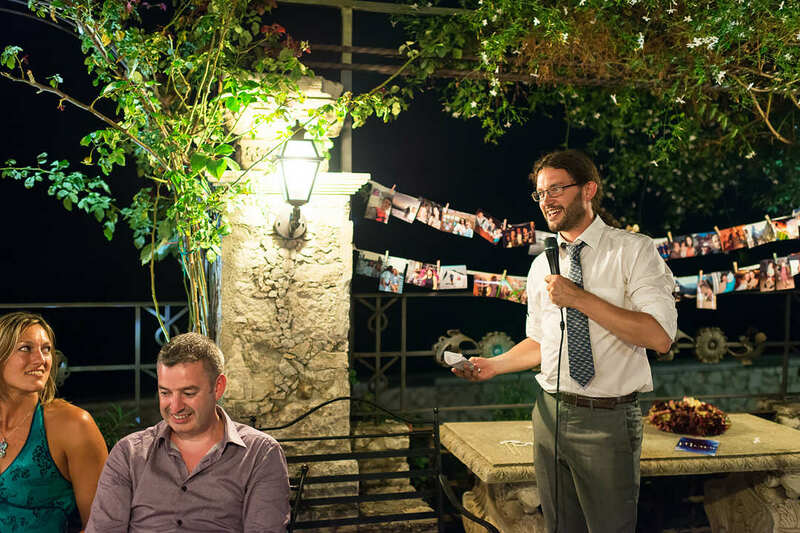 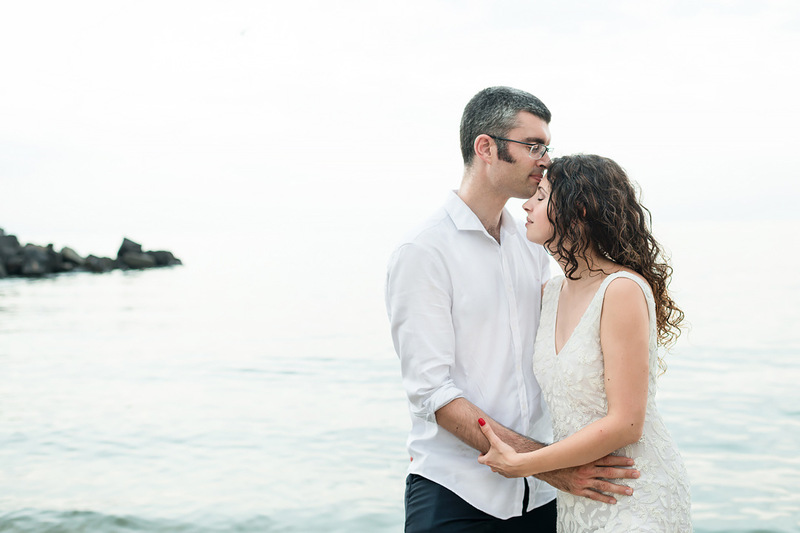 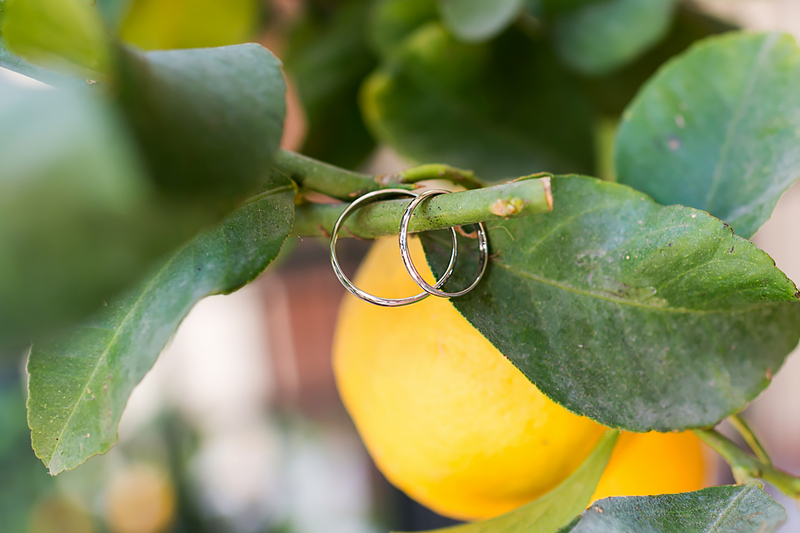 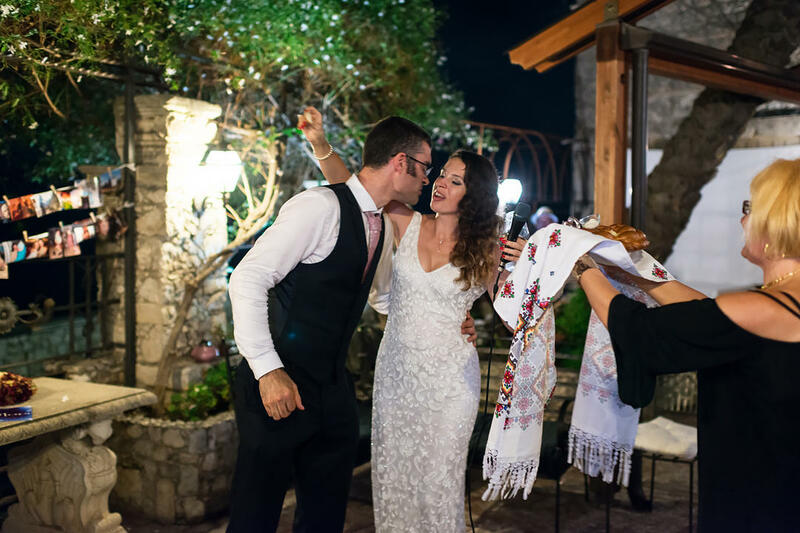 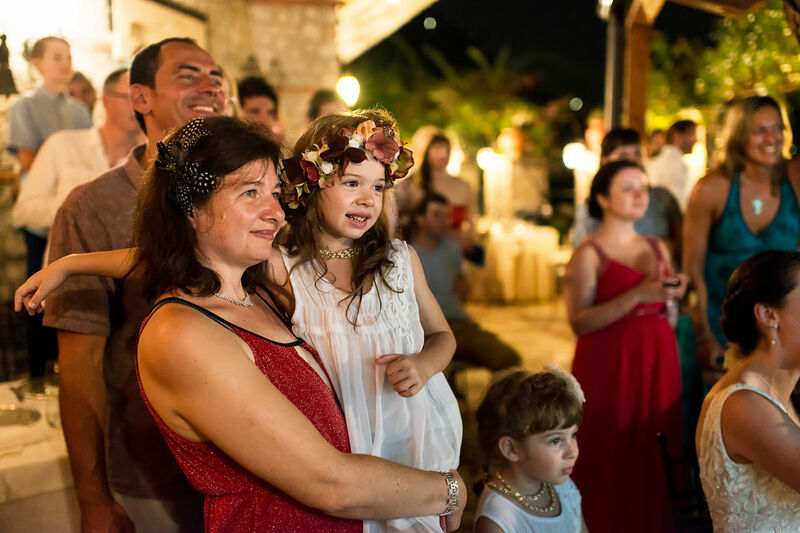 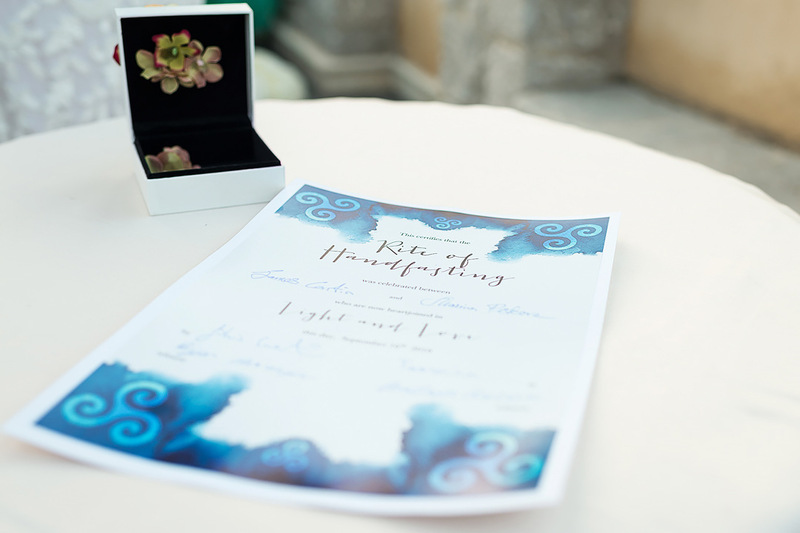 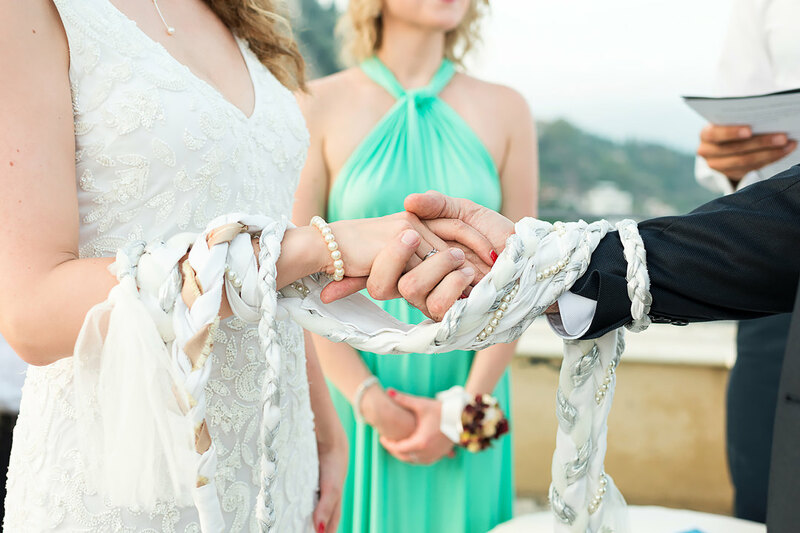 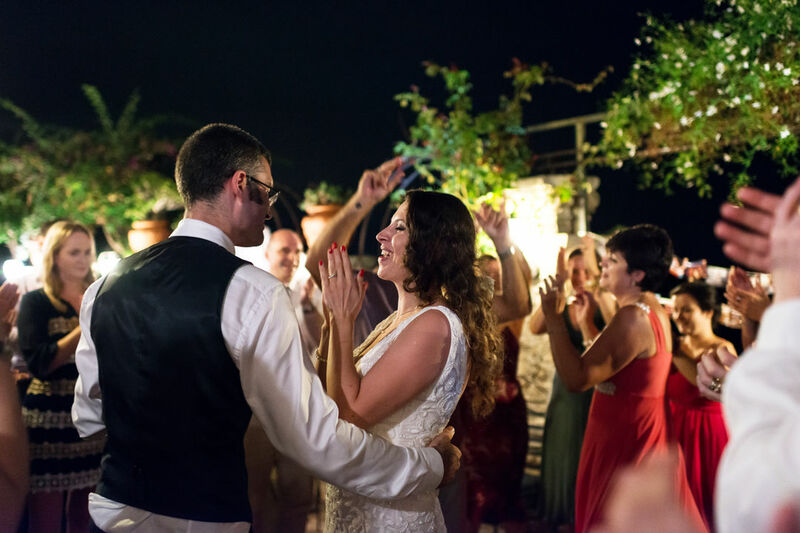 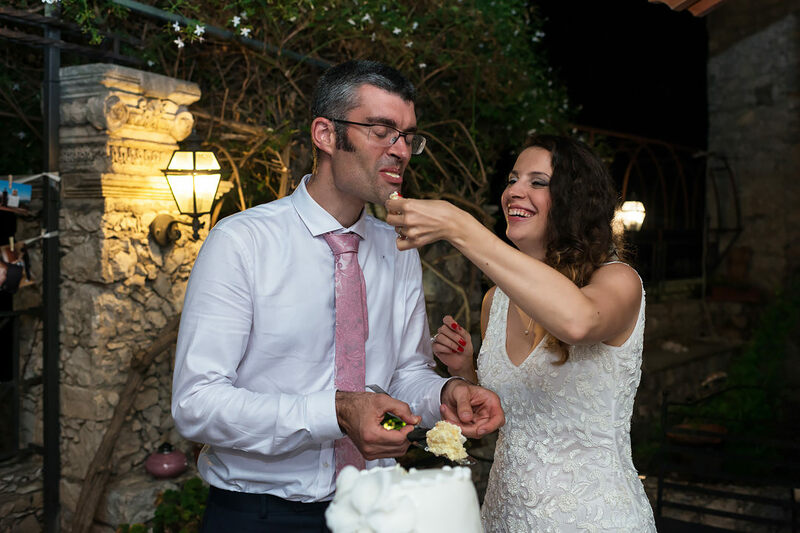 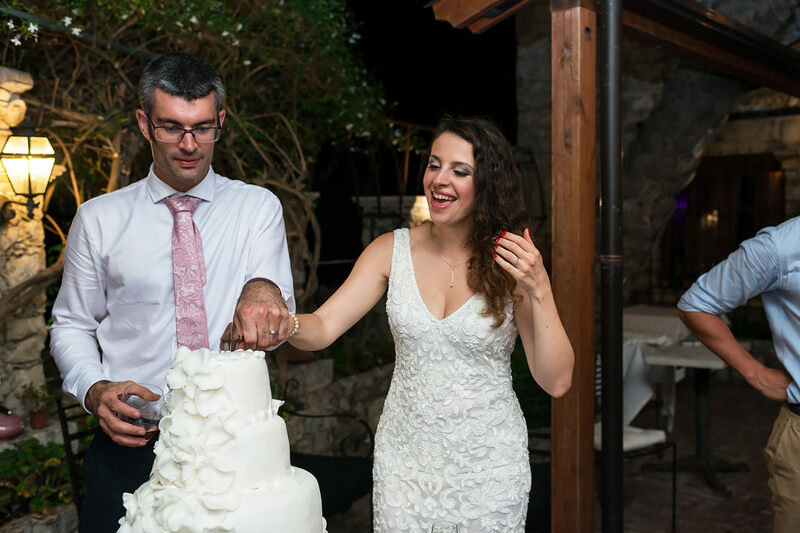 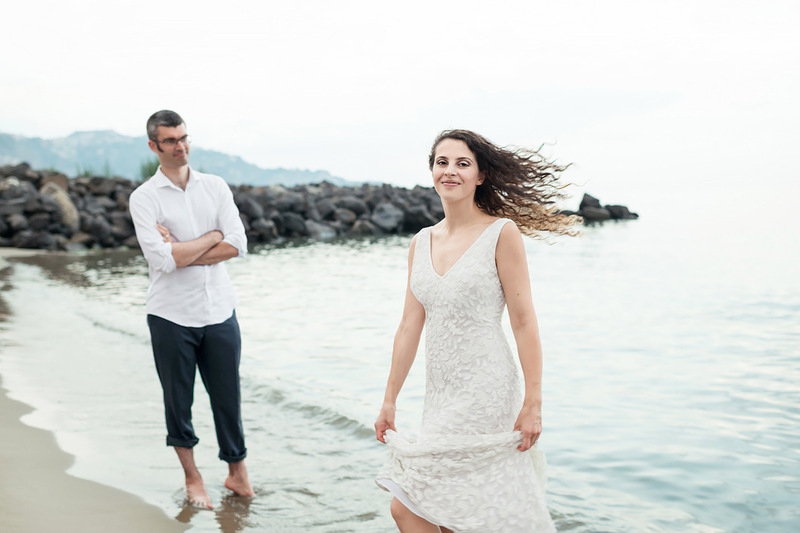 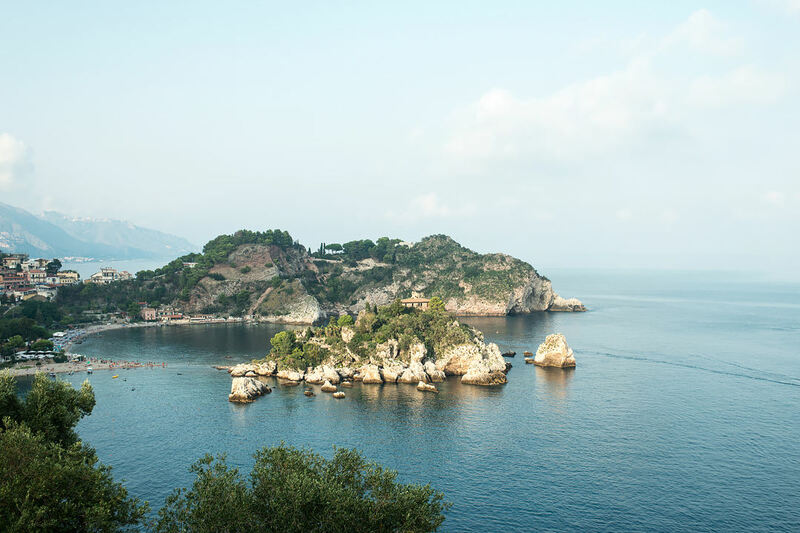 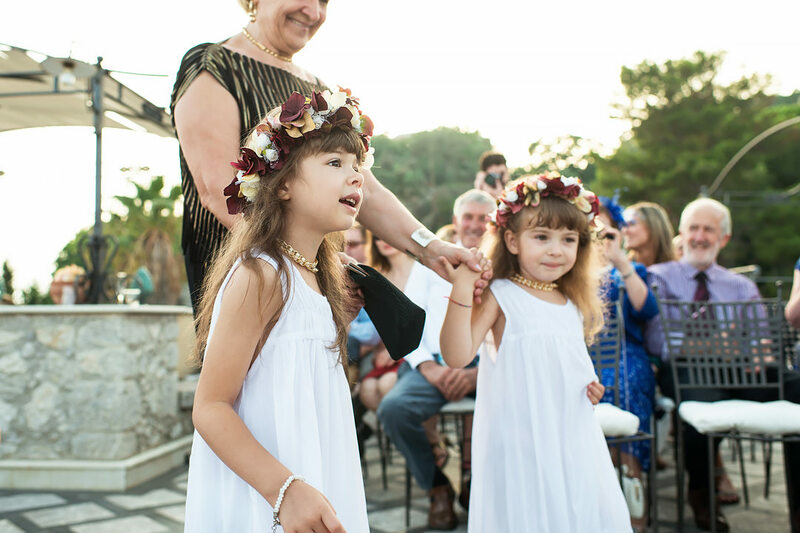 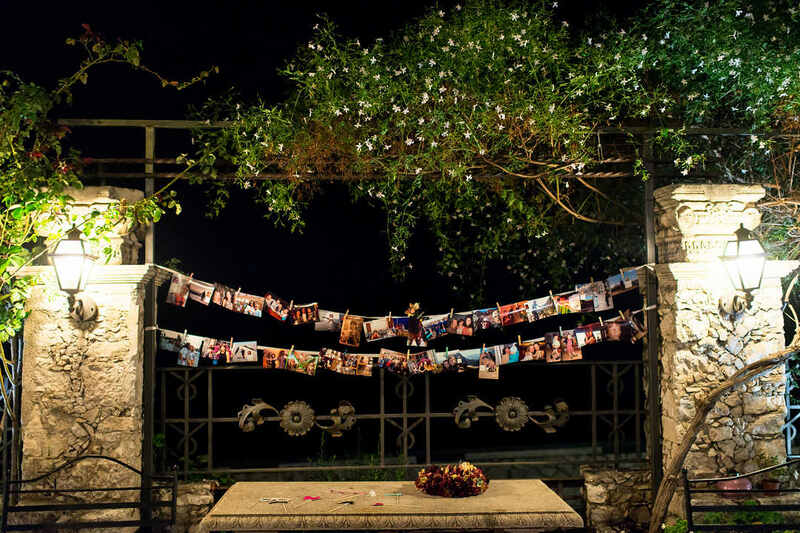 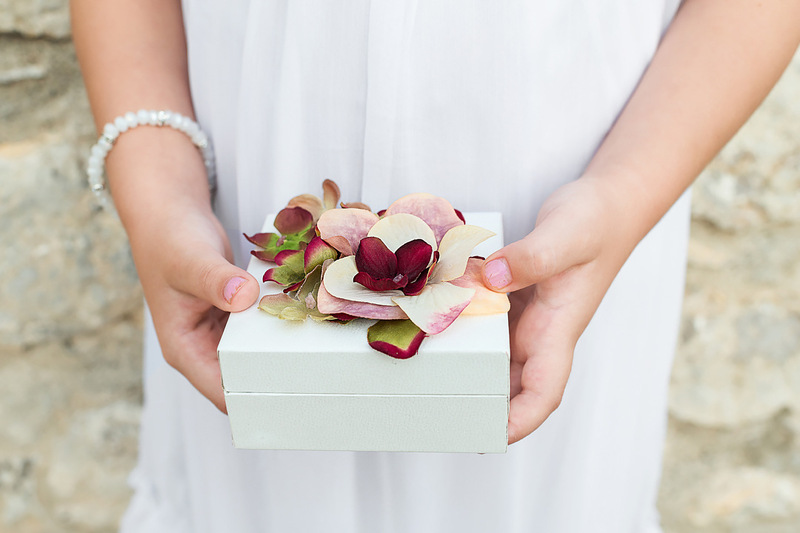 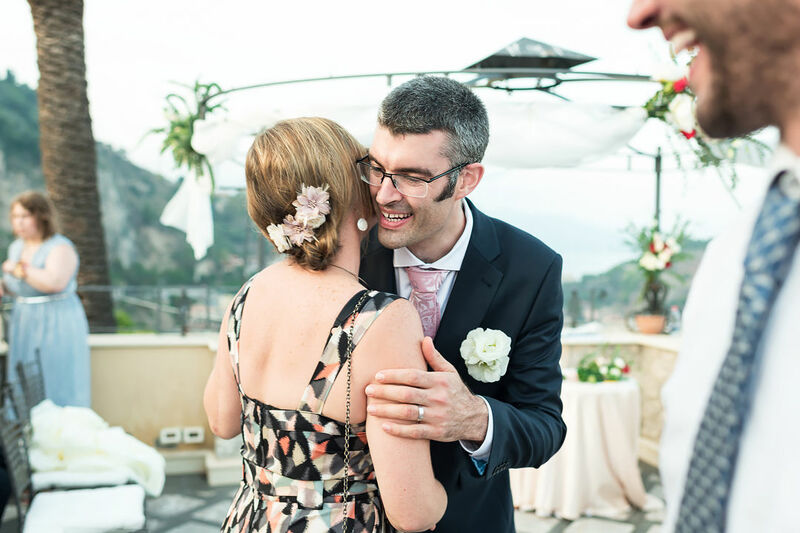 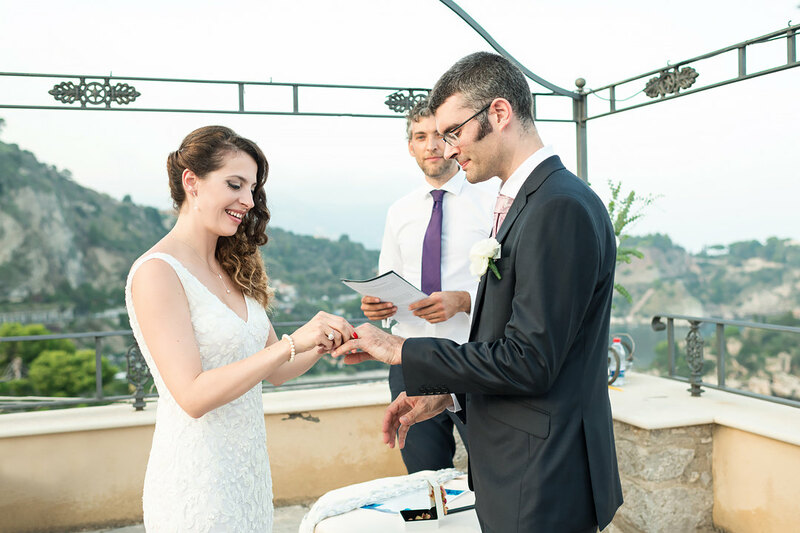 An international wedding, which I completely organized and then photographed in Taormina, the island of Sicily. 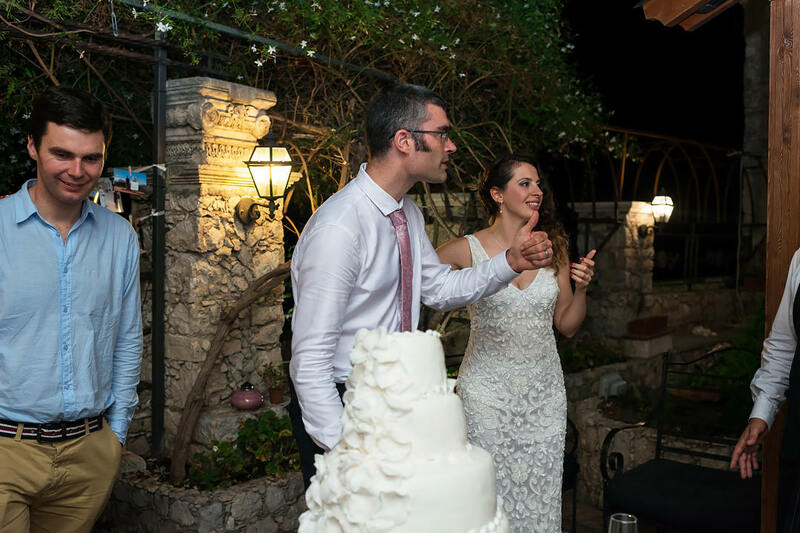 It was a work, stretching for three days, there was a lot of work, but it was a pleasure to work with this wonderful couple. 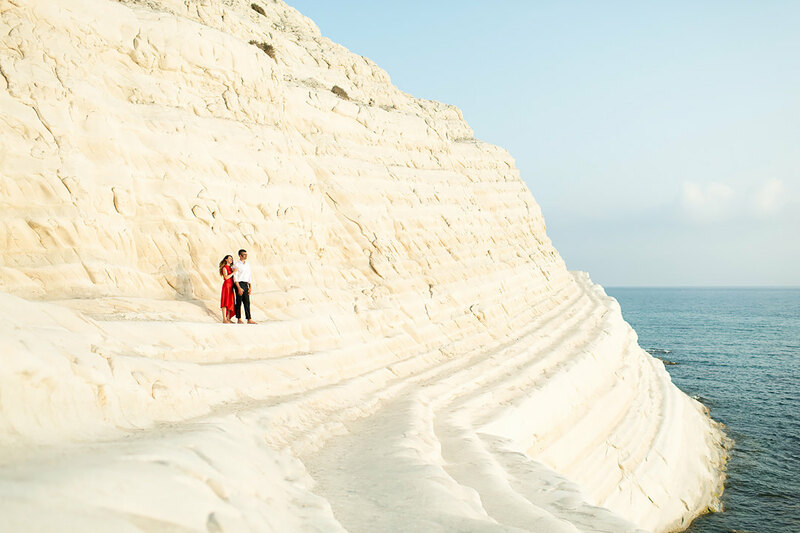 We started with a pre-wedding romantic photo shoot, the couple met me in Palermo and we went by car in the vicinity of Agrigento, where we hoped to have time to shoot a pre-wedding story at Scala dei Turchi and in the valley of the ancient ruins, Valle dei Tempi (where, of course, we did not have time to arrive before dusk). 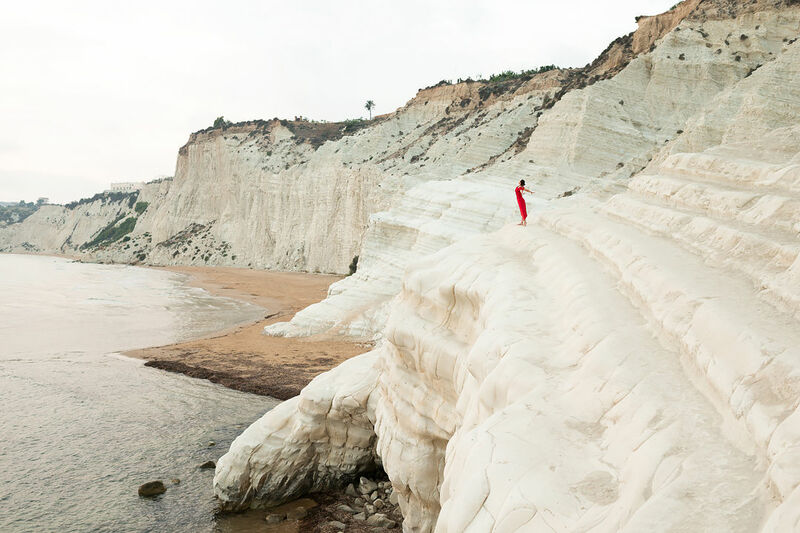 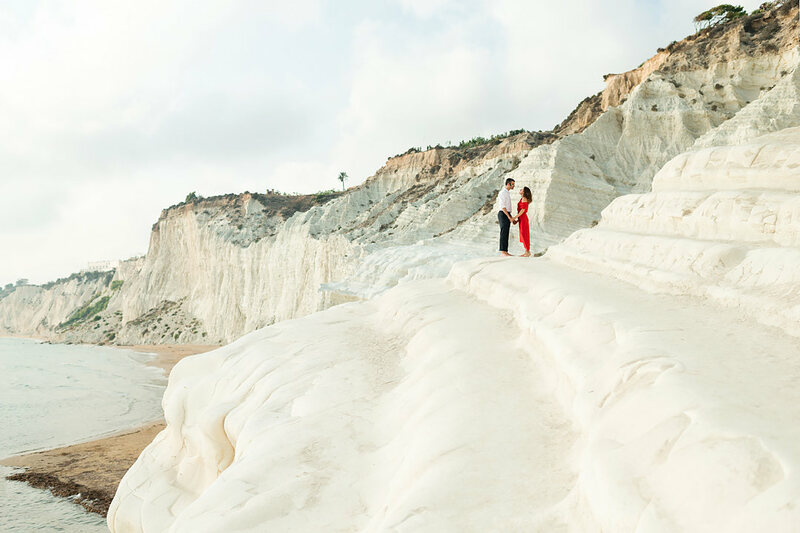 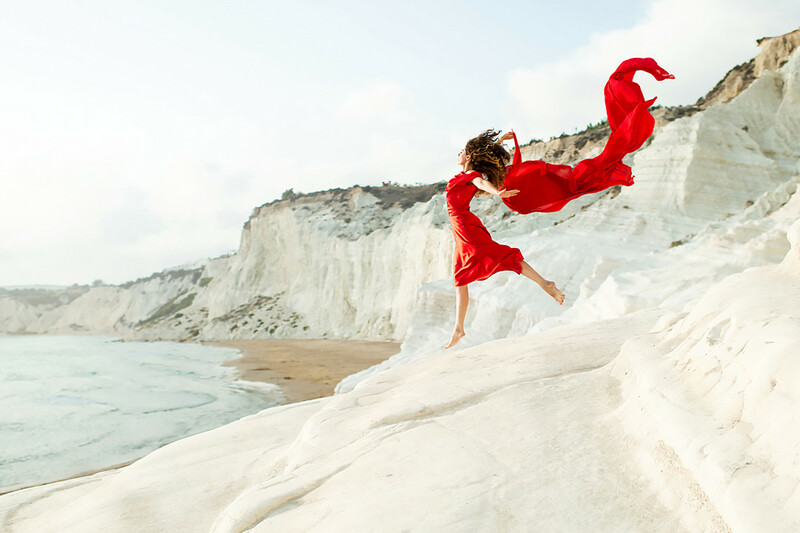 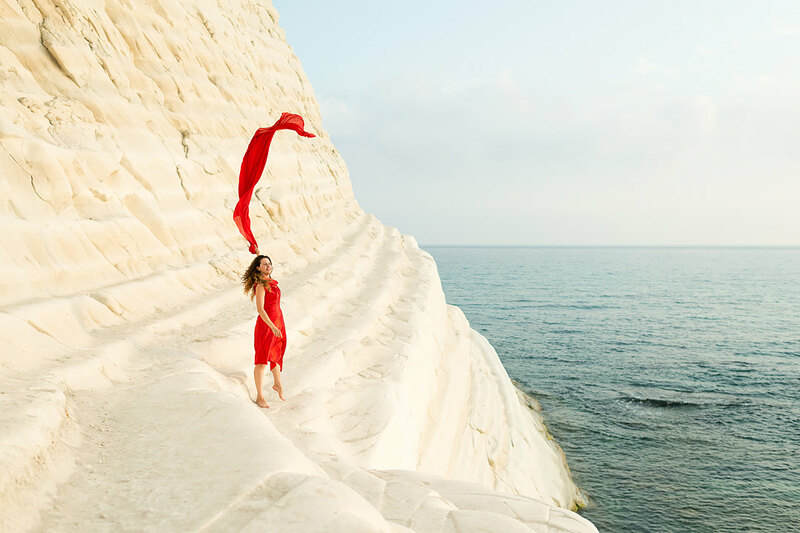 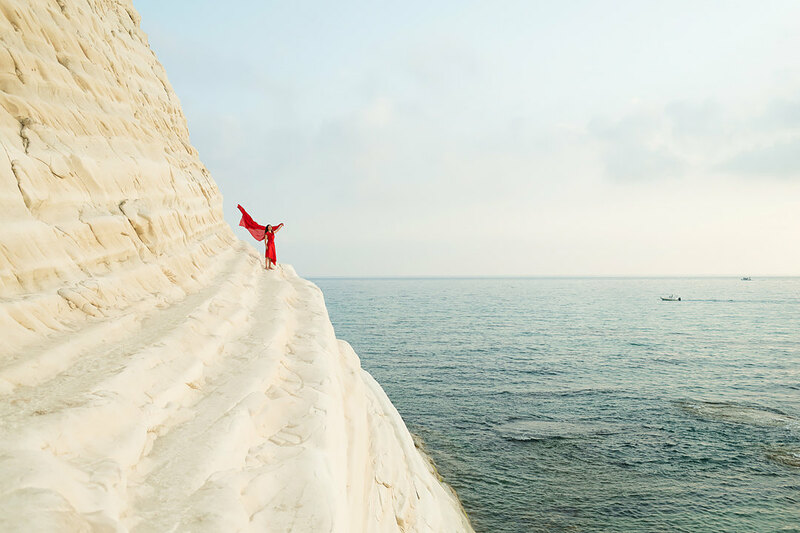 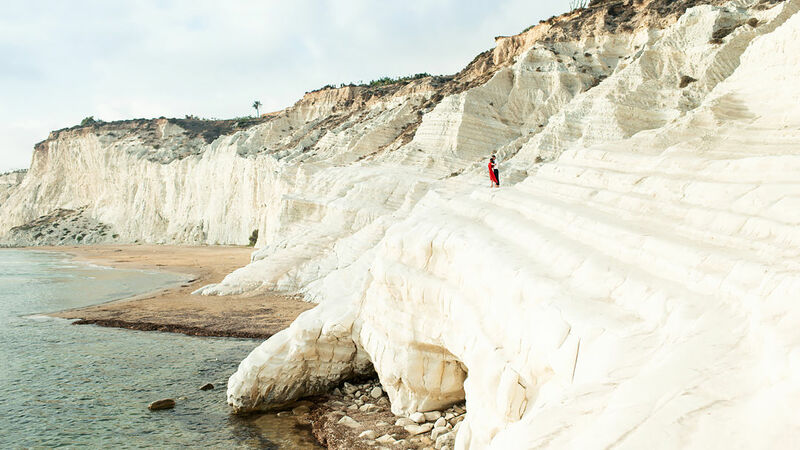 Having traveled from the north of the island to its south, passing through such places, completely unaffected by civilization, as Corleone, and having not found a single bar along the way for drink coffee, we finally reached the delightfully beautiful white cliff - Scala dei Turchi (Turks Stairs), which we chose as the location for our romantic pre-wedding photo shooting. 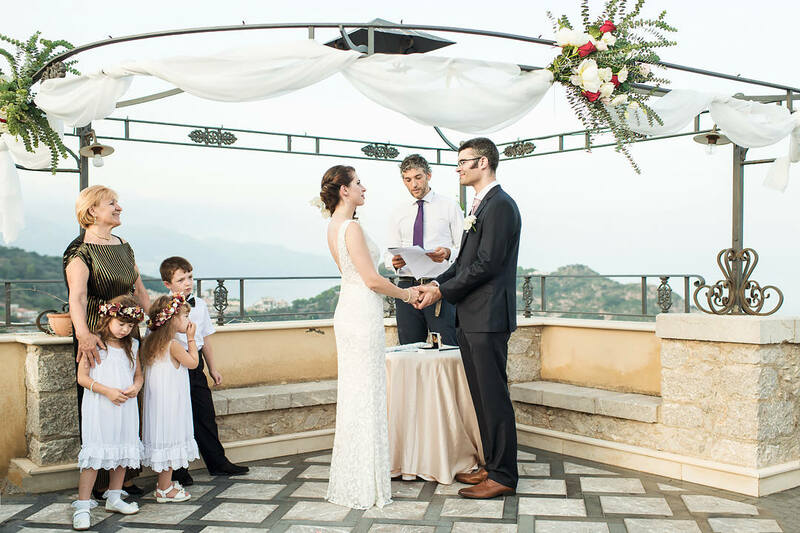 Really risking stumbling and falling down from a steep rock, the bride jumped on the steps of this giant "staircase", while I was photographing her)) Time flew quickly and imperceptibly, and after dusk, we moved further to the place of the upcoming wedding in Taormina, to the east of the island; Valle dei Tempi, a complex of ruins of ancient Greek temples, we could see only from below, this is a remarkably beautiful sight - majestic ancient ruins in an artificial night illumination ... 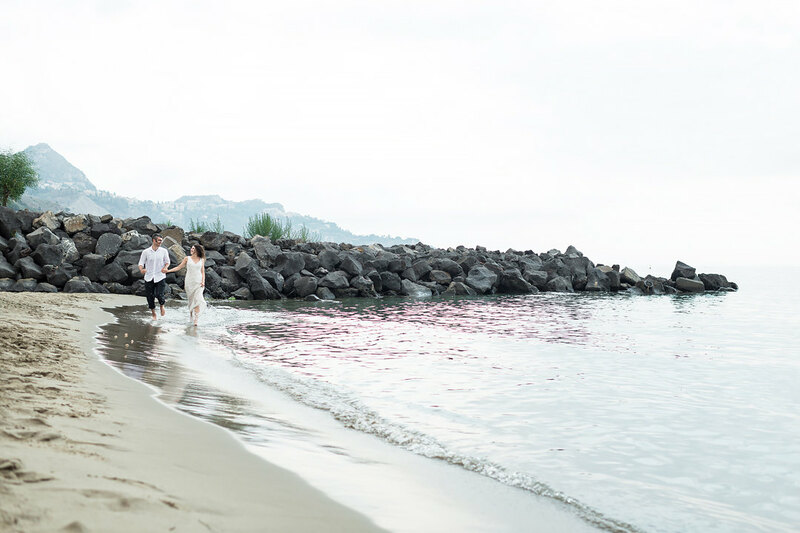 It is a pity that we did not use this rare opportunity for a beautiful photo shoot ... Late in the evening, after reaching Taormina, we met with the hostess of the restaurant to discuss the small details of the upcoming wedding, and I finally got to my hotel. 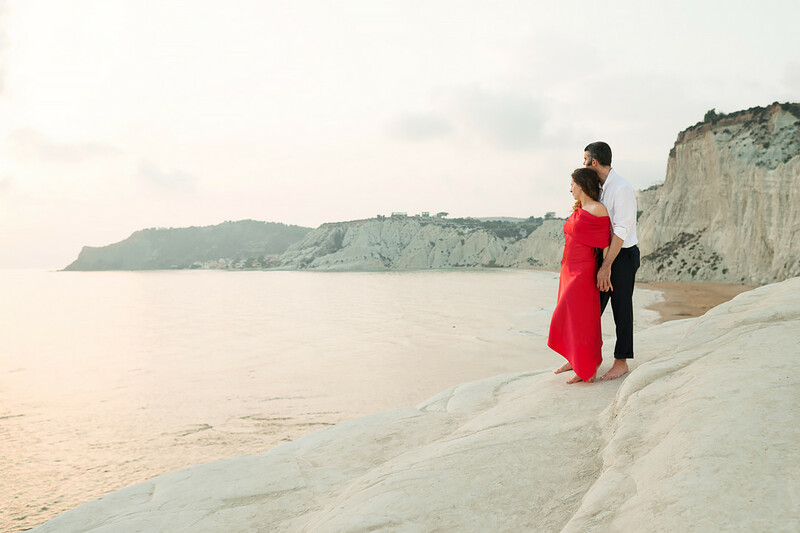 The next morning we took pictures of half an hour, in the shooting this time took part the one-year-old daughter of my couple, and then we began to prepare for the ceremony. 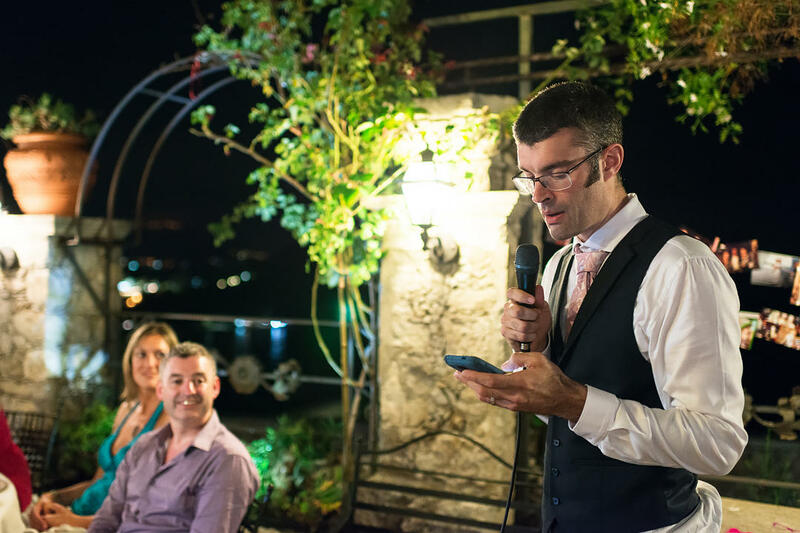 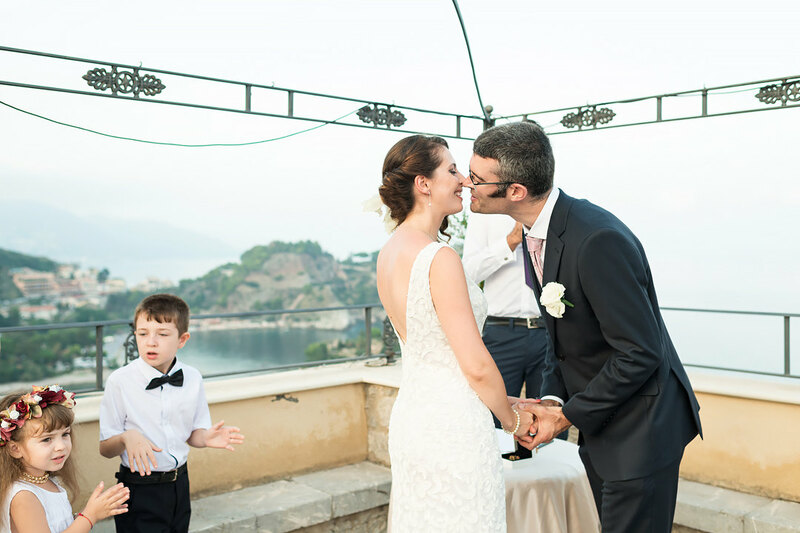 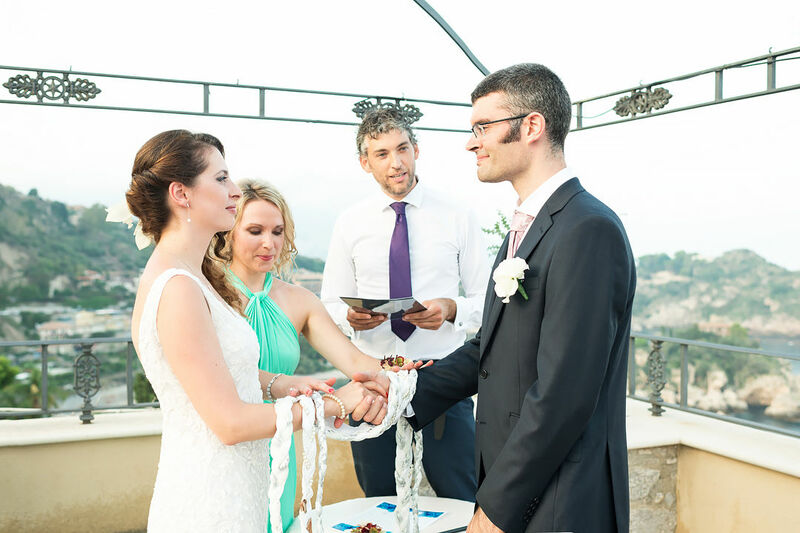 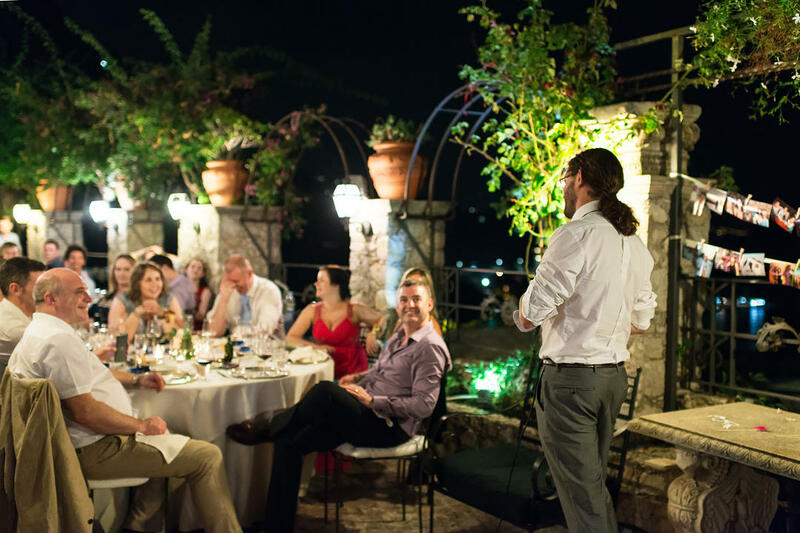 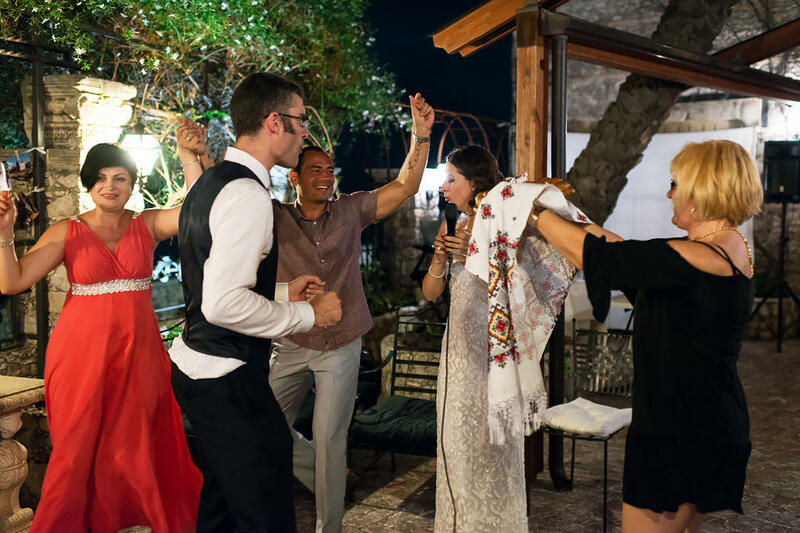 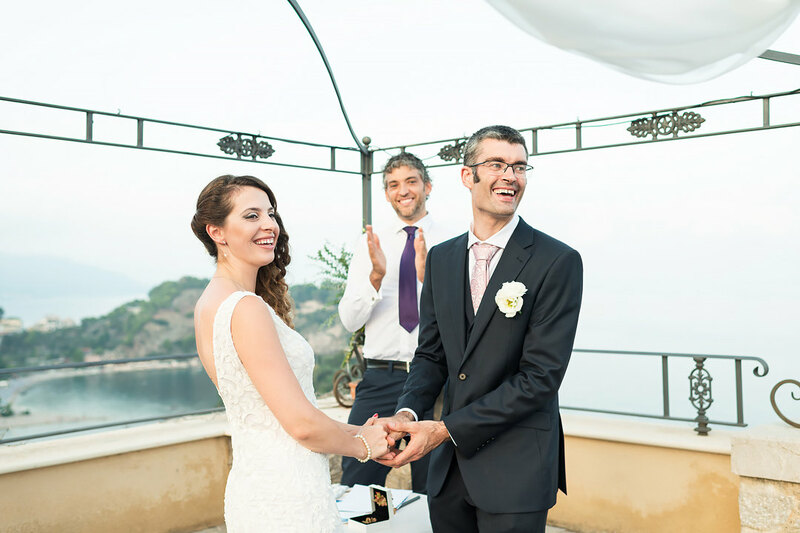 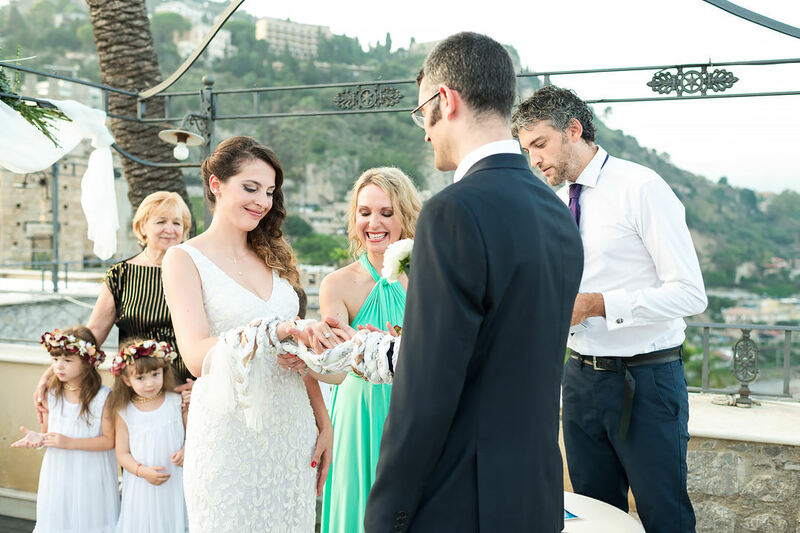 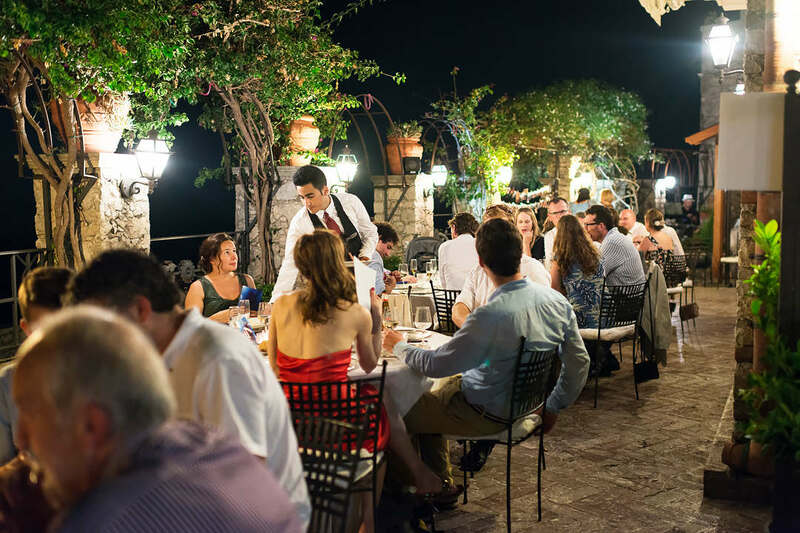 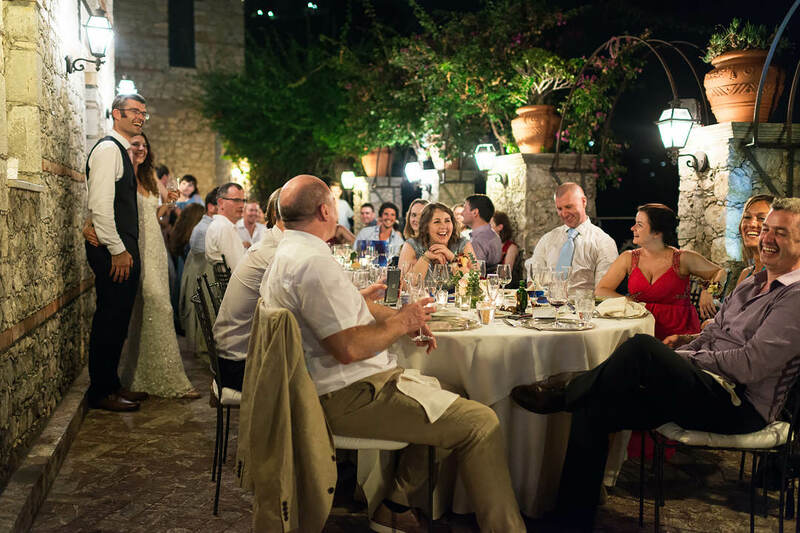 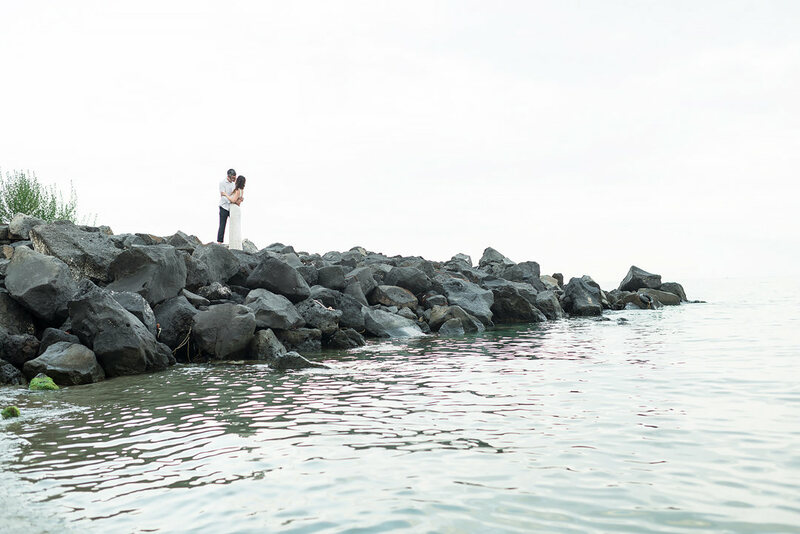 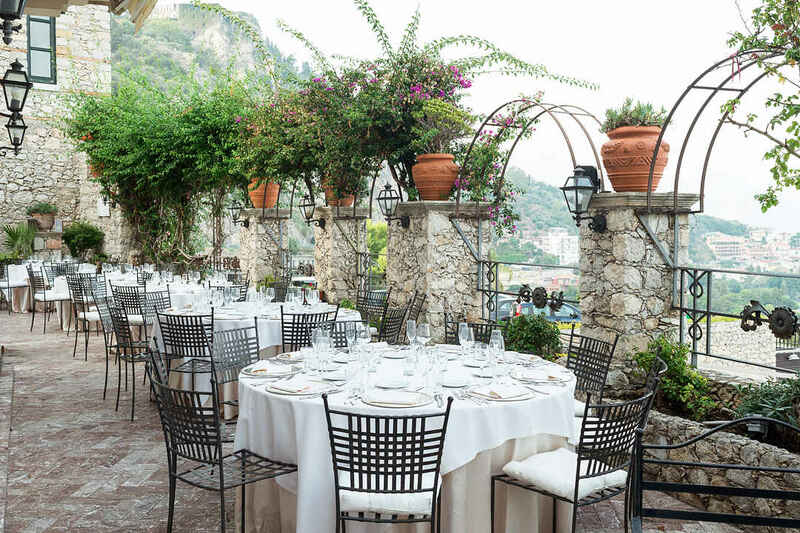 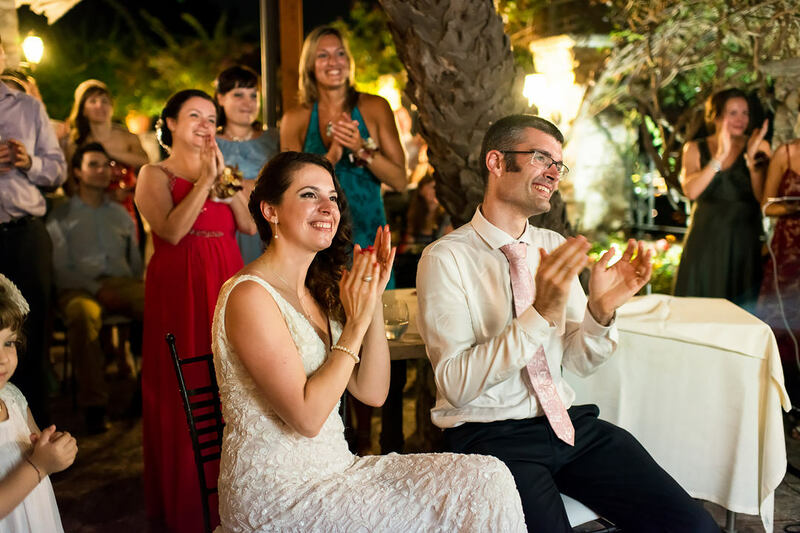 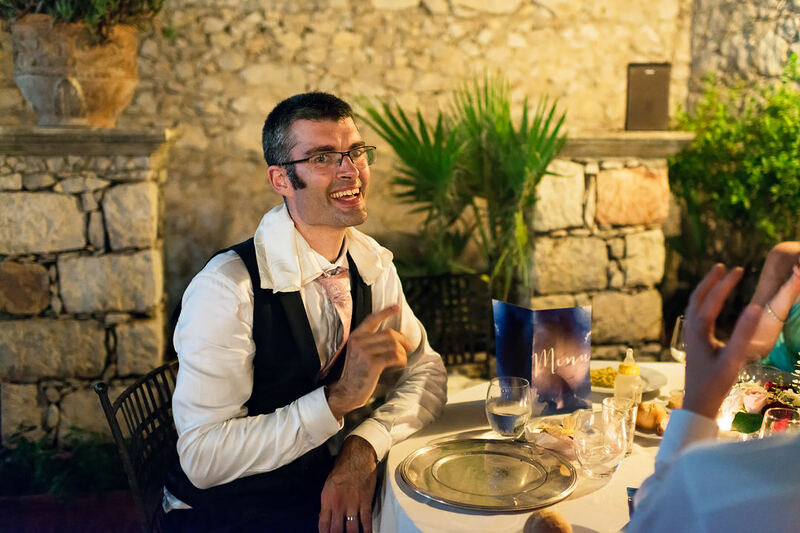 The ceremony took place on a large terrace with a panoramic view of the bay and Isola Bella Island, and dinner was served on the lower terrace. 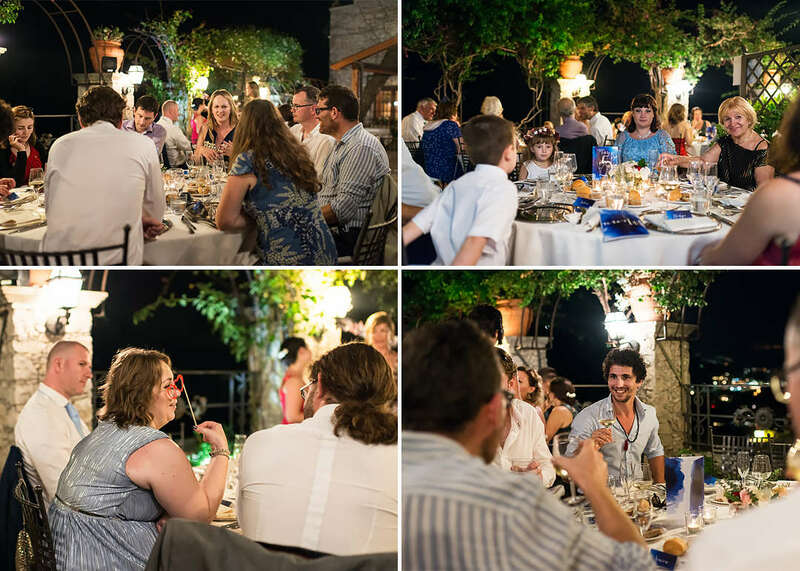 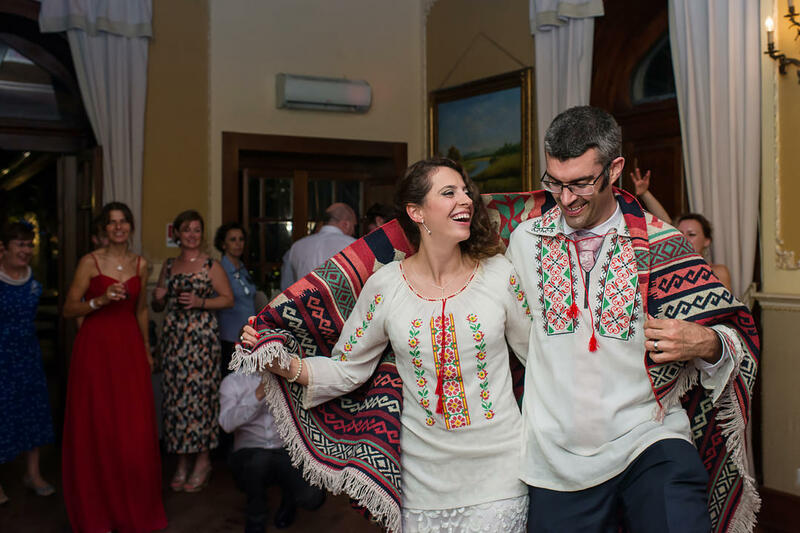 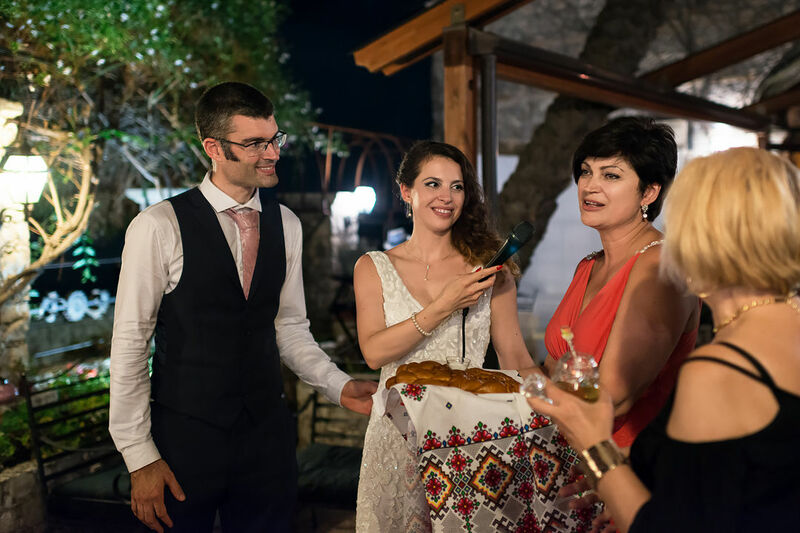 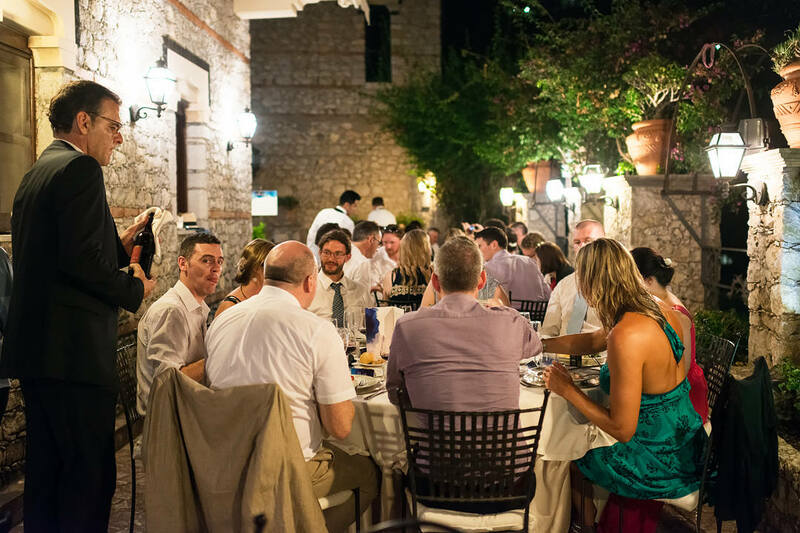 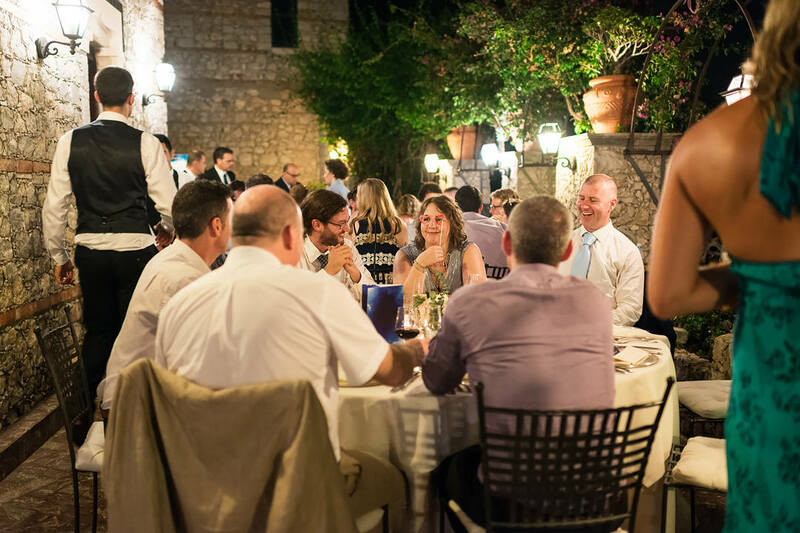 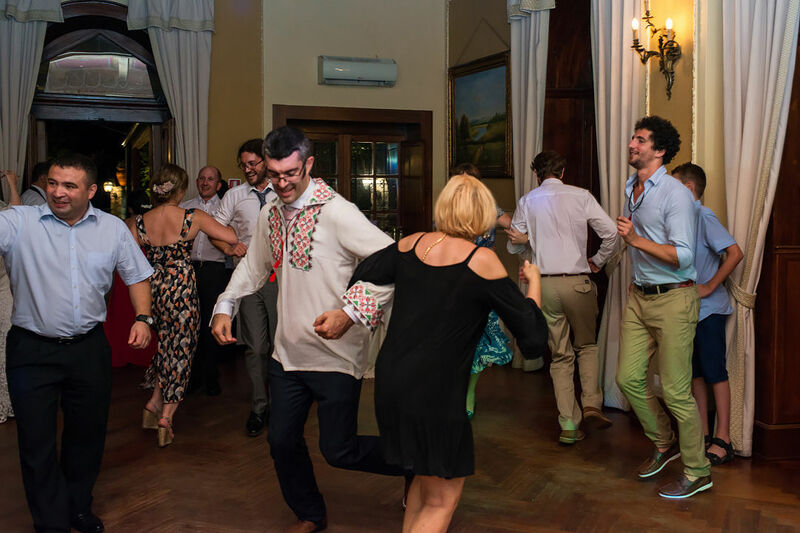 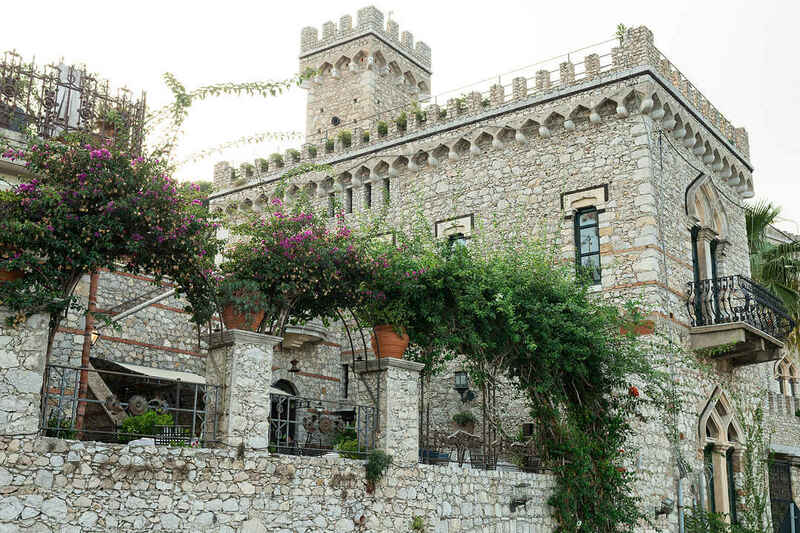 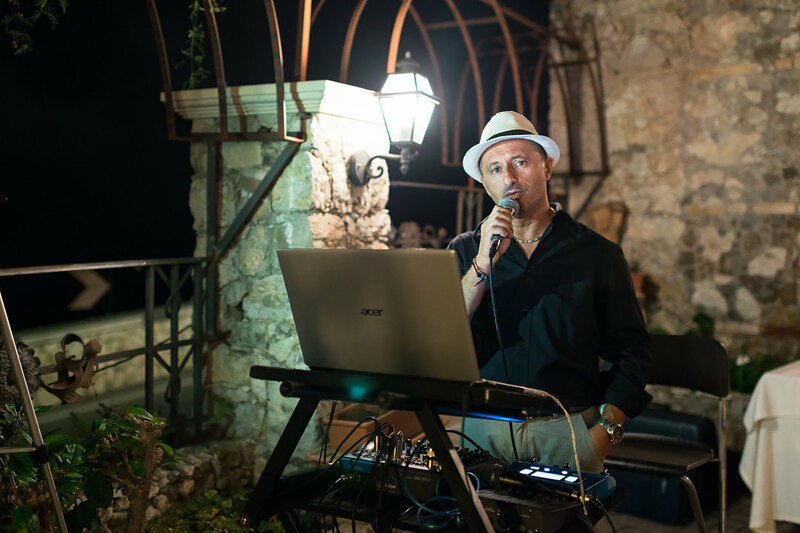 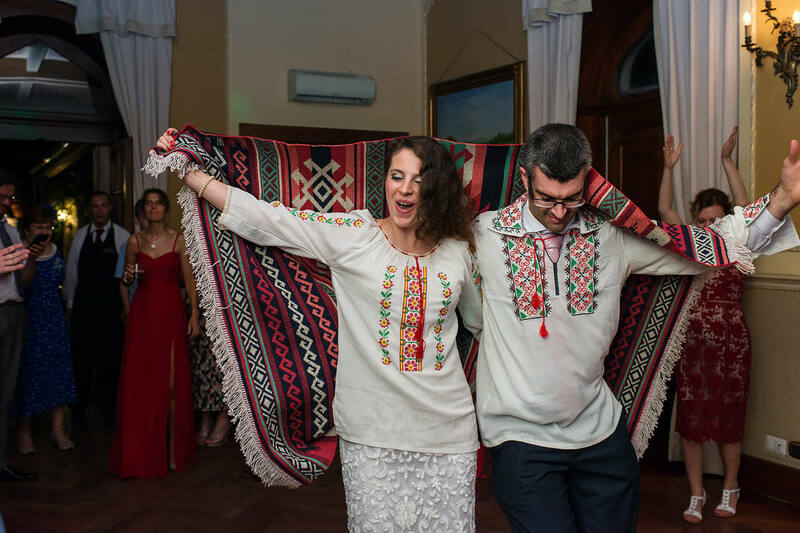 The party was very fun, the location - a beautiful historical villa built in the style of a medieval castle, with an excellent restaurant and excellent service, and a multinational company was fun and noisy. 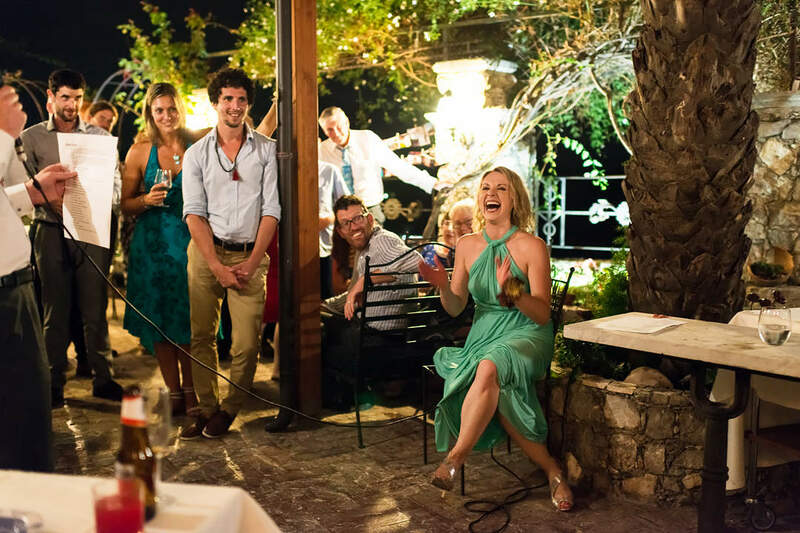 The bridesmades prepared a video about the bride as a surprise, and then there were toasts, speeches, games and fiery dances. 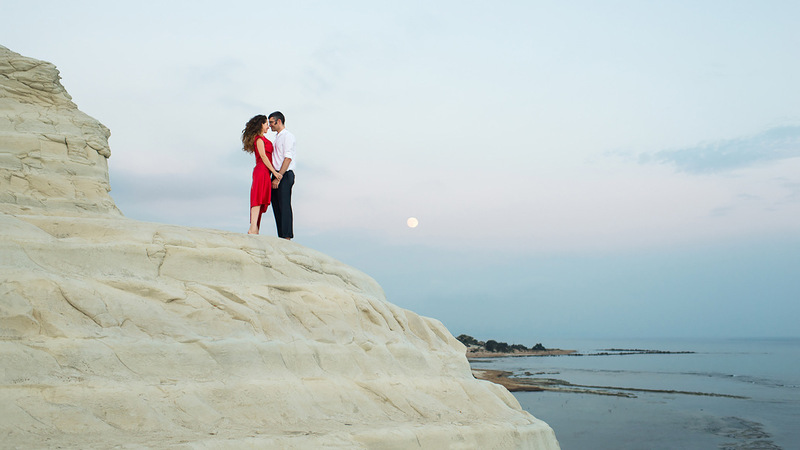 The wedding was a success)) And the next day, in the evening, closer to the sunset, we did another small photo shoot on the beach, because on the wedding day did not have time to take a romantic walk)) Based on my personal experience, now I can advise my future brides to plan a wedding in Italy on the beautiful island of Sicily, for the organization of an unforgettable wedding, in its most beautiful places, with delicious local food and wines, and convenient prices!